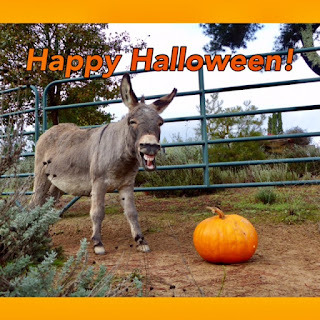 ~ THE LAZY VEGAN ~ HOME OF PACO & LUIGI AND FRIENDS: Trip to Farm Sanctuary and a Belated Hoppy Halloween! Trip to Farm Sanctuary and a Belated Hoppy Halloween! With Whitaker at Farm Sanctuary!! 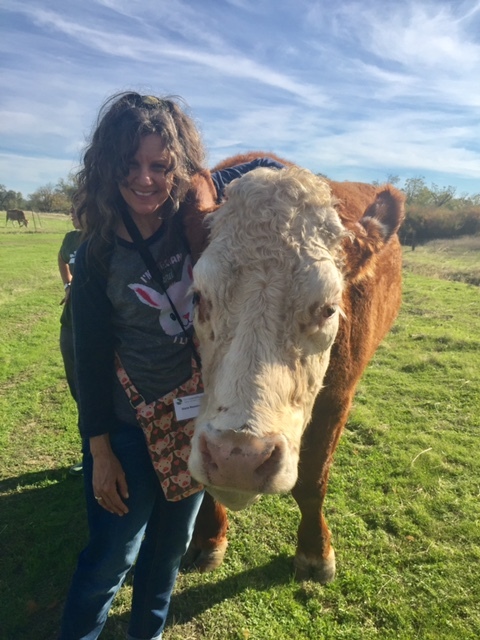 OMG - I was so thrilled and honored to finally visit Farm Sanctuary in Orland, California!! I have wanted to go there for years. It was amazing to see all the animals and know that they now live free from harm. Cannot even begin to describe how awesome it was to lay down with napping pigs and hug huge cows! Plus so many other animals, including a three-legged calf and a blind goat. And a celebration FOR the turkeys in honor of Thanksgiving! 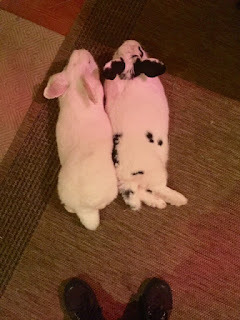 I went with the "bunny gals" and we all had a fantastic time. I took way more photos than are posted here - but these are some highlights! 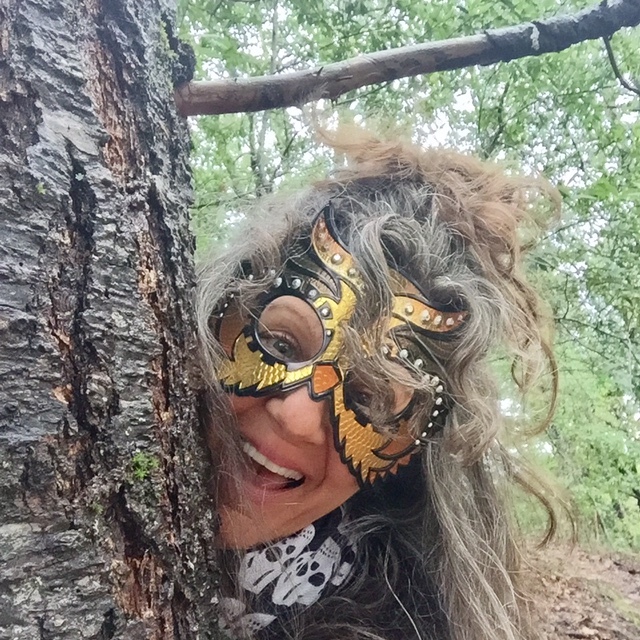 Also on this blog post am posting belated happy (HOPPY) Halloween photos! Little video of Lola the pig, above! Yummy appetizers and speakers and films about turkeys and other animals. Bunny gal Deb makes a tailgate sandwich! Tractor rides to the various barns! Napping pigs!! OMG! I LOVED seeing the pigs. Hilarious clothes line at the sanctuary. LOVED hanging out with the sheep! This little boy was wearing the same shirt I was! OMG! Such a thrill. Cows are such gentle beings. My own little sanctuary at home!